Slovenian national sport is skiing. In Slovenia drinking of alcohol is also a national sport (many car crashes and deaths...). Can we conclude that SKIING + ALCOHOL = Strategy of degeneration of Slovenian and maybe some other na(t)ive population? Lars Bystol (born 4 December 1978 in Voss) is a Norwegian ski jumper who has won one Olympic gold medal, one World Cup eventm two FIS Nordic World Ski Championships bronze medals in the team large hill events (2003, 2005), and a gold medal in the FIS Ski Flying World Championships. Bystøl has also had several alcohol-related episodes that have made the front pages of Norwegian newspapers. In 2000 he was sent home from a continental cup competition in Innsbruck after a party at New Year's Eve, and later that year he was caught DUI with a 2.38‰ blood alcohol content. He was sentenced to 24 days in prison. In 2003 he fell into the ocean after he was fighting after some heavy drinking. His alcoholism was so bad that it caused Bystol to be kicked off of the ski jumping team in 2004 though he did fight his way back to the team. In early 2009 he admitted to having tested positive for tetrahydrocannabinol. The sample was delivered in November 2008 in a Norwegian Cup race in Vikersund. Professional boxing - we should take very serious. Jimmy "one punch" twite, fighting David Haye, watch as jimmy unleashes a deadly display of power and accuracy onto Hayes, leaving him dazed and amazed, with his legs going like bambi on ice as he tries to avoid the count . Hayes of course is now a true world champion, but fair play to Jimmy Twite he was a great boxer as well, as a gentleman. Lovely memorries for Jimmy and his family to be proud of . Jimmy Twite now works as a mason (not free mason). Wrong politics I think because boxing federation function as a whole structure. If only clubs will take care of themselves then this will be politics totally different of AIBA boxing academy - strategy. Also in Croatian parliament (aka Congress). Rallarsving, Fighting TV show in Europe. 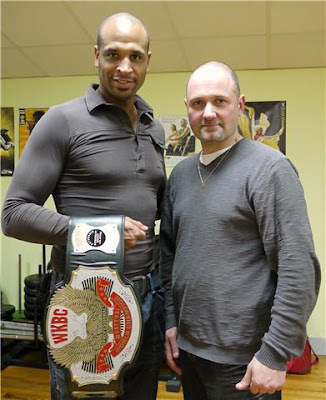 Teaching: Jeremy Decherchi - French and European Champion Savate and Jerome Huon. Crow cannot fly like an eagle. 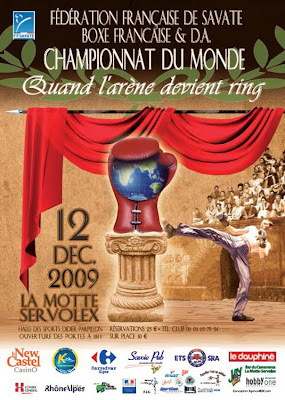 Assaut and canne de combat are the only hope for savate to live as a unique sport. Croatian president Stipe Mesic - Croatian boxing federation destroyer? Mr Marko Zhaja - the director of Pitbull Split club (remember his fighter? Junior savate combat world champion 2009 - Agron Preteni in Novi Sad.). And do you remember also Stipe Mesic? Nanbudo and WTF and ITF taekwondo lover? Zhaja says - when the new Croatian president will be elected, and Stipe Mesic will resign, then Zhelyko Mataya (friend of Stipe Mesic) will probably be removed from his position in Croatian boxing federation. And then he sees better times for Croatian boxing. Zabit Samedov Interview: "Almost all Dutch fighters juice"
Almost all Dutch fighters juice. For example, in Golden Glory it’s almost a part of the club’s policy. They shoot up and fight like it’s nothing. Because of that when they get to the ring they start raging. Think about it yourself, how could Bard Hari change his physical complexion so much in two years? Karaev trained in Holland and said that Zimmerman shoots up in front of everyone and only after that starts training. Look at what an elephant Zimmerman had become in just two years. But most of these fighters pass all medical tests for steroids. How? They consume extremely high level new pharmaceutical drugs and go through a very expensive three months cycle. So they can get huge. And I'm that rare breed of athlete that doesn't juice. Even though some time ago there were rumors that in Las Vegas they found some anabolic compounds in my blood but that was all settled. But I still don't know what really happened. I came to Vegas it was 45 degree heat (Celsius) so the conditioner was on all the time and I got chilled. I had an energy drink before the fight. Before the Grand Pri I also injured my elbow which they had to anesthetize. Maybe they used something... think about it, I weighed just 88 kilos. What anabolics can you possibly talk about? 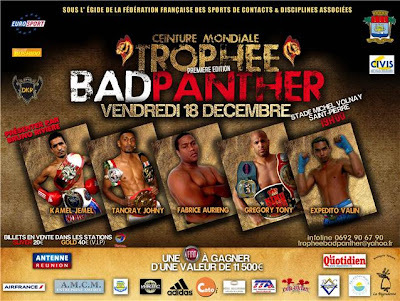 Remember how Badr Hari fought in the finals last year? And then a month later he lost by KO to Overeem. I think the juice stopped working by the time he fought Overeem so that played a role. Do you know why I am just about the lightest K1 fighter? Because I don’t shoot up roids. I’m a professional athlete, I don’t even take vitamins. I’m lazy when it comes to those things. Besides, we don’t have the money and the sponsors to go through a similar Dutch cycle. Nor do we have competent specialists who could monitor the intake of these drugs. So we have to fight in these unequal conditions. Undoubtedly, comments like these will draw a lot of knee jerk reactions from both sides. Those that disagree with Samedov will point out that he himself tested positive once (as he mentions here) but of course he has an excuse for that. Also, the two fighters he singles out are his two high profile recent loses, which perhaps brings some of his motivation into question here. Later in the interview, Samedov discusses his KO loss to Hari at this year's Final 16, saying that Hari got lucky and challenging him to a rematch - which again some may see as making these comments questionable. On the other side, many will look at this and immediately agree with Samedov. From this perspective, it is probably worth noting that Golden Glory, who Samedov directly accuses, is home to Alistair Overeem, a central figure in steroid accusations for the past year. In trying to step back and look at this from a rational percpective, there is probably some truth to what Samedov says. In no way am I pointing fingers at any fighters (or letting Samedov completely off the hook himself) but the idea that there is steroid use in K-1 level kickboxing should not be a surprise to anyone. Many athletes across sports have talked about how rampant steroid use is, and many high level kickboxing events take place in countries that do not test. Given this, it's hard to imagine that no one is juicing, even if Samedov's motives and specifics can be called into question. We'll see what response (if any) this generates from the kickboxing community. As I said, expect stroing responses from both sides, and for Samedov to become extremely villified in some circles. Braga, Portugal, 16th17th of December, 2009. EUSA TV on youtube. 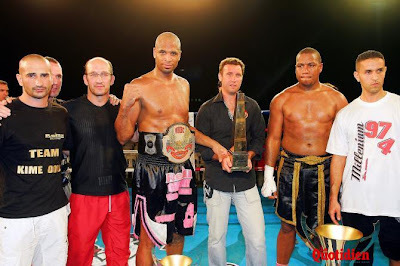 Canne de combat - Florian Adami changed by the Apache team? 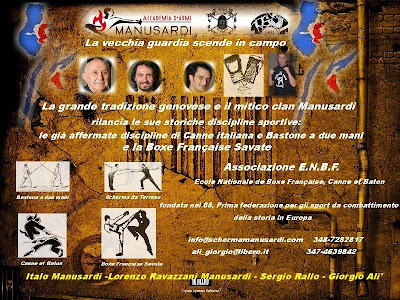 Seminar OCTOBER 5th to 9th of 2009 Reunion, (Roland HOFFBECK DTN, Luc CHEYNIER, Florian ADAMI and Marie TORRENTE). Thank you dear reader for every suggestion. This one was a new year surprise. Toni Nobilo (Lawyer) - ITF Croatia and Croatian president Mr. Stipe Mesic talks about rare combination of ITF and WTF taekwondo under the same umbrella organisation in their country. But - just 200 km from Zagreb - capital of Croatia - there is Ljubljana - capital of Slovenia and under the same Slovenian umbrella taekwondo organisation there is also ITF and WTF organisation. But ITF in Slovenia is different from Croatian ones. 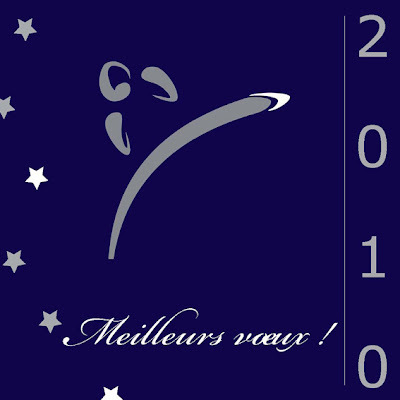 In Slovenia is a main ITF group "Tran Trieu Quan" group. And we surelly don't want to talk about the third ITF group "Jung Hwa" in some other country near these wonderlands. Very funny country called Slovenia (Europe) - promotes professional combat sports under WFC trademark. Just a small data: Capital of Slovenia - Ljubljana (400.000 inhabitants) doesn't have any boxing ring, and no specialized boxing gym. What about annual financing (Slovenian national sport budget) of martial arts and combat sports in Slovenia? Far cry in a country where you don't have any chance to change something. Started in October 2009, they say. - Simultaneous with the ITF 2009 World Championships WTF held its World Championships in Copenhagen. There have long been talks on the necessity to merge the two taekwon-do federations but so far they have not been successful. What are the perspectives for this issue today? - The main problem, in my point of view, is that ITF is more ready for compromises in the negotiation process than WTF. I think that our partners in these negotiations are eager to demonstrate their readiness for merger rather than doing any actual steps in this direction. That is why it is difficult to say that the negotiations are successful now. Another problem is that ITF headquarters in Vienna and our organization is accordingly under the jurisdiction of Austrian laws, while WTF has its headquarters in Seoul and is regulated by the laws of South Korea. So for this reason the legal side of possible merger may have some difficulties. Oh my god somebody produce history again in its own way (how typical) and force poor Indian silambam stickers to do Jogo do Pau. Funny. Florence LECCESE in JUVIGNAC Herault on 5th of December 2009. 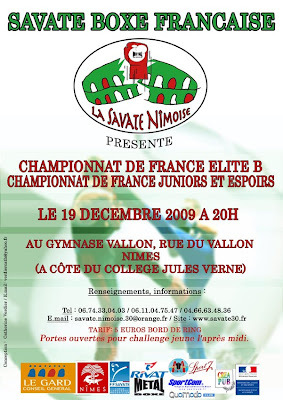 Seminar of Savate Forme - league Languedoc Roussillon - Savate Boxe Française - Florence LECCESE in JUVIGNAC Herault on 05th of December 2009. 6th of February 2010 in Toulouse. Sullivan LAMBRET (WIGNEHIES) vs. Fabrice AURIENG. Stipe Drvish and Zhelyko Mavrovich in heaven. CISM asked FISU - will you marry me? In the name of god of War? Today, December 15th, delegates of the International Military Sports Council (CISM), Secretary-General Colonel Alexandre Morisod (Switzerland) and his Executive Manager, Olivier Verhelle, have visited the FISU headquarters. Recently elected in 2009 at the head of the General Secretariat of CISM, Colonel Morisod has been welcomed by his FISU alter ego Eric Saintrond, as well as by the World Unviersity Championships, Winter and Summer Universiades Directors. The new CISM General-Secretary – the CISM headquarters are also located in Brussels - was very interested by FISU's development and the success story of both Universiades and World University Championships. A common working session has been foreseen for Tuesday, February 4th, 2010. It will allow the two International Federations to compare their experiences and to take benefit from their respective successes. To mark taekwondo’s inclusion in the program of the 2013 Mediterranean Games, WTF President Chungwon Choue held a press conference at the Greek Olympic Committee building in Athens, Greece on Dec. 4, 2009. 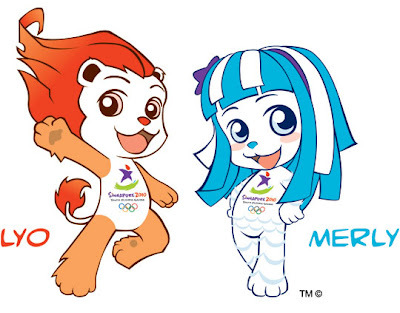 Taekwondo was included on the official program of the 2013 Mediterranean Games on Oct. 25, 2009. Due to the increasing popularity of taekwondo in the Mediterranean region, the Mediterranean Taekwondo Union was formed under the WTF, with Mr. Driss El-Hilali of Morocco as president and Secretary General Mr. Michalis Fysentzidis of Greece, who also attended the press conference, together with Gen. Ahmed Fouly, a WTF vice president. The MTU held the 1st Mediterranean Taekwondo Cup in Rabat, Morocco May 8-10 this year. Dr. Choue thanked Mr. El-Hilali and Mr. Fysentzidis for all their work to make taekwondo an official sport for the Mediterranean Games in 2013. Dr. Choue also pointed out that taekwondo also recently have been made an official sport for the Universiade starting 2017. The Greek Taekwondo Federation has vast experience of competition organization such as the 2004 Olympic Games. Dr. Choue stated that he believes that taekwondo at the 2013 Mediterranean Games will be one of the most successful sports at the Games. WTF President Choue believes taekwondo was chosen as an official sport for the 2013 Mediterranean Games due to the fact that taekwondo has been evolving constantly with the ambition to become the most exciting and transparent sport. For instance at the 2009 WTF World Taekwondo Championships held in Copenhagen, Denmark, WTF introduced electronic body protectors and also adopted an instant video replay system, which has ensured that coaches and athletes can have a fair opportunity to request for review of the referee’s decisions. Dr. Choue also thanked Mr. Nikos Thomaidis, president of the Greek Taekwondo Federation, for his dedication to the development and spreading of taekwondo in Greece. AH ... THIS WESTERN TYPE OF DEMOCRACY. FUNNY. 1930 WILSHIRE BLVD., SUITE 1007 ● LOS ANGELES, CALIFORNIA 90057 ● U.S.A. In an emotional ceremony on October 10, 2009, Mr. Lech Walesa, former President of Poland and Nobel Peace Prize recipient, was presented with an Honorary Black Belt by Mr. Rick Jorgensen, Chairman of the International Traditional Karate Federation. When presenting the Honorary Black Belt to Mr. Walesa, Jorgensen said, “Traditional Karate is based on the foundation of the Japanese concept of Budo – the seeking of perfection of the total human being in mind, body and spirit. The ceremony was on the occasion of the grand opening of the Budo and Japanese Sports Center in Stara Weis, Poland. The building of this center was an estimated $35M and represents a collaborative effort of the governments of both Poland and Japan in cooperation with the Traditional Karate Federation of Poland. The Center was built to commemorate 90 years of diplomatic relations between the two countries and will house the training of the Traditional Japanese arts. The ceremony was held on October 10 – the birth date of the late Sensei Hidetaka Nishiyama, the founder of the International Traditional Karate Federation and the catalyst of the Budo Center in Stara Weis. Mr. Nishiyama passed away in 2008 at the age of 80 years. “It is fitting that the ceremony takes place on this day. Sensei Nishiyama would be very proud to see the completion of this dream.” Jorgensen said. 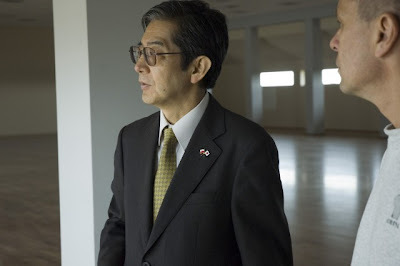 On 31 May Ambassador of Japan in the Republic of Poland – Ryuichi Tanabe visited the Japanese Martial Arts and Sports Centre "Dojo-Stara Wies" in Stara Wies. 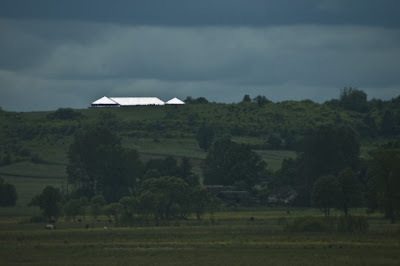 Wlodzimierz Kwiecinski - Chairman of the Traditional Karate Federation of Poland took all the guests for the sightseeing. "Dojo - Stara Wies" will be a unique centre, which will give an opportunity of comprehensive training and mixing with the spirit, climate and philosophy of the Japanese martial arts. 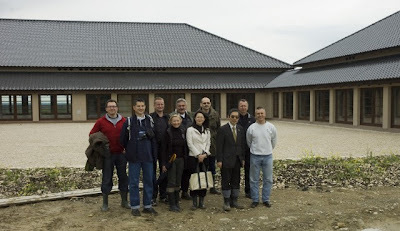 On 10 October 2009 we are planning the official opening of the Japanese Martial Arts and Sports Centre “Dojo – Stara Wies”. This event will be combined with the central ceremony of the 90th anniversary of diplomatic relations between Japan and Poland. On that occassion we will also host the 5th Traditional Karate ITKF World Cup. The ceremony will be hosted under the honorary patronage of Mr. Lech Walesa – former President of the Republic of Poland, laureate of the Nobel Peace Prize (1983). The greater amount of funds to complete the building stage comes from the Ministry of Sport and Tourism. We also received Japanese grants twice, from which the first one has been used to purchase the original Japanese roof imported from Japan and the second one – cultural grant has been spent for the sport equipment (tatami). WARSAW - Poland's anti-communist icon and 1983 Nobel Peace laureate Lech Walesa symbolically wielded a Samurai sword at ceremonies opening Europe's largest Japanese martial arts centre, or Dojo, on Sunday. "During the second day of the August (1980) strike, reporters asked me what we were up to. Then I said, 'We're building a second Japan'. A Dojo in Stara Wies is proof that this idea is coming true," Walesa joked at the ceremonies, quoted by the Polish PAP news agency. Japan's ambassador to Poland Yuichi Kusumoto, the president of the International Traditional Karate Federation (ITKF) Richard Jorgensen, ITKF director in Los Angeles Nami Nishiyama, and the head of Poland's Traditional Karate Union Wlodzimierz Kwicinski, also attended the opening in the central Poland city. Walesa, who served as Poland's first democratically elected president after the fall of communism, also planted a tree and was presented a karate black belt by the ITKF president. The Dojo, a traditional Japanese martial arts centre, was opened as Poland and Japan mark the 90th anniversary of diplomatic relations. "The size of this centre is impressive not only for Poland but also for all of Europe," Japanese Ambassador Kusumoto said. Construction of the centre began in 2003, funded mainly by Poland's sports ministry with the support of the Japanese government. 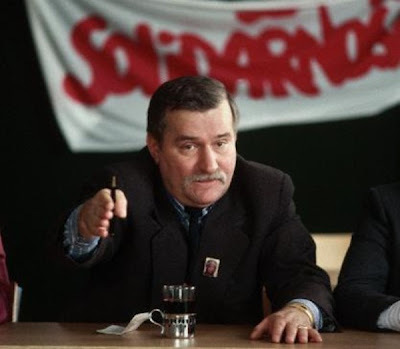 Walesa won the Nobel Peace Prize in 1983 as the head of Poland's freedom fighting Solidarity trade union, the only independent trade union ever to exist in the entire communist bloc. Under his leadership Solidarity undertook talks with Poland's communist regime to negotiate a peaceful, bloodless end to communism in 1989, a move which had a domino effect across the Soviet bloc, ending in the collapse of the Soviet Union in 1991. Taekwondo will be on the official program of the 2017 Summer Universiade and onwards as a compulsory sport. The International University Sports Federation (FISU) has recently informed the WTF of its decision to include taekwondo in the official program of the Summer Universiade from 2017 onwards as a compulsory sport. 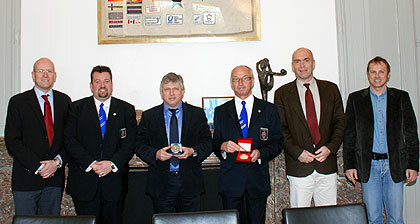 The decision was made at the FISU Executive Committee held on Nov. 13 and 14, 2009 in Erzurum, Turkey. "I am very glad to inform you that the FISU Executive Committee which gathered on November 13 and 14, 2009, in Erzurum, Turkey, has officially approved your request to introduce taekwondo as a compulsory sport in the program of the Summer Universiade, as from 2017 onwards," said FISU Secretary General Eric Saintrond in a letter to WTF President Chungwon Choue. "It is true that taekwondo has experienced a significant growth over the years and has become one of the most popular sports among our member associations. In addition, we have no doubt that it will continue to develop and attract more and more of our student-athletes in the future," the letter continued. It continued to say, "We therefore look forward to pursuing the strong collaboration that we have long established with your federation and will continue to put all of our efforts in the promotion of taekwondo as a university sport worldwide." Taekwondo has been on the program of the Summer Universiade as an optional sport since 2003, when the biennial international sporting and cultural festival was held in Daegu, Korea. Gwangju, Korea earned this year the right to host the 2015 Summer Universiade. The Summer Universiade consists of 10 compulsory sports and up to three optional sports chosen by the host country. The 10 compulsory sports are athletics, basketball, football, gymnastics, swimming, diving, water polo, tennis and volleyball. The Winter Universiade consists of six compulsory sports and one or two optional sports also chosen by the host country. The six are Alpine skiiing, Nordic skiing, ice hockey, short-track, speed skating, figure skating, and biathlon. The first comprehensive multi sports video platform. SportAccord, the representative of institutional sport worldwide that groups together 104 World Sports Federations and Organisations, today announced a partnership with YouTube. The agreement serves as the initial step toward the creation of The Sports Hub, an Internet destination that will be a unique, comprehensive multi-sport platform where people around the globe can turn for a single access point to all sports. In addition, The Sports Hub will showcase Paralympic sports and multi-sports Games, such as the World Games or the SportAccord Combat Games. Content will include top matches, competitions, key interviews, backstage moments, educational content and more. A fully customized look and feel will empower Federations to leverage The Sports Hub for promotion as well as cross promotion of their sports since they will be grouped by categories (e.g. ball, racquet or water sports). The Sports Hub will be launched in spring 2010. Make sure that you include it in your favourites! As I know this was allowed only to presentation sports on Olympic Games. Representitives from 96 countries participated in this year‘s IFMA Annual General Meeting which was held at the Grand Ayudhya Hotel in Bangkok, Thailand. The meeting was opened by the Permanent Secretary of Tourism & Sports industry of Thailand, Dr Sasithara Pichaichannarong, which again outlined the support of the Royal Thai Government and IFMA‘s plan to become IOC recognized. Dr. Sasithara thanked the delegate for all the hard work, especially for the upcoming Sportaccord Games in Beijing, and in the name of the Royal Thai government she also thanked everyone for coming to Thailand and participating in the celebrations for His Majesty‘s birthday. Many important agenda points had been discussed at the 2009 AGM and there is no doubt that 2010 will be a very important year, both for muaythai and IFMA. From December 11th to 12th, FISU is hosting a seminar for the 2010 World University Championships at its Headquarters in Brussels. Attending were the Technical Chairs for the WUC sports and the delegates of the majority of the 2010 WUC Organizing Committees. After a full day of presentations touching topics as the tasks of the CT Chair, the inspection visit, work plans for a WUC and other WUC related matters, the seminar will continue tomorrow with presentations referring to FISU Protocol, Media, technology and the obligations between the WUCOC, the Technical Chair and the NUSF. Respect to this man, who stands behind his words. But just mention some other time also savate. During the 2009 World Combat Championships in Novi Sad, Serbia, I had the great pleasure of meeting Miodrag Jotich - a pioneer of Savate and champion of Fair-Play. Miodrag Jotich has been involved in martial arts for 30 years. He was introduced to Boxe Française Savate in 1981 by Damien Wehr. 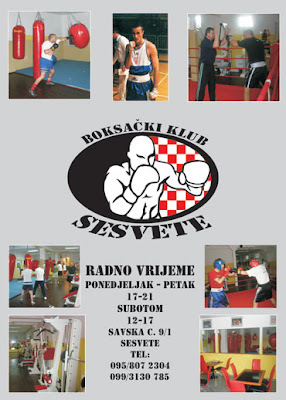 While attending a Tang Soo Do seminar in Rab (Croatia), he was invited to take part in a Savate seminar being held in the same place, and so became the first Yugoslavian to try Savate. After the seminar, Damien Wehr asked him if he would like to compete, and the following year he was invited to an international seminar, run by Bob Alix, at INSEP in Paris. He went on to compete in many Junior and Senior galas, tournaments and championships - his achievements included: Junior champion Europe (1984), 3rd European championships (1988), World Vice champion (1989) and 3rd World championships (1991). 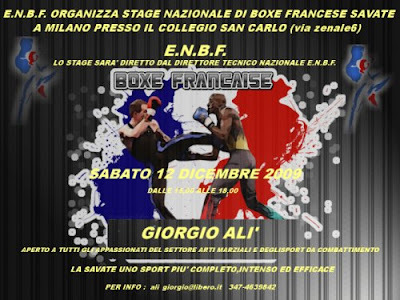 "Boxe Française is the way of honour, the way of art, the way of chivalry, the way of the knights. You learn how to fight, how to move, and you learn your mind - how to listen, how to work and how to obey." These earlier influences remain with him. 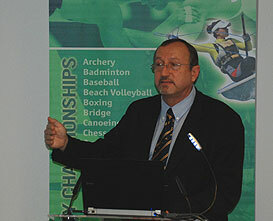 Miodrag Jotich has been a member of the Serbian Olympic Committee for 7 years, and a member of the Commission for Fair-play. He founded an organisation in Serbia promoting fair-play, and in 2008 started a "Fighting against the Violence Project" in Novi Sad. This project has included demonstrations of different martial arts to help young people get into sport, with qualified trainers, and to leave behind aggressive attitudes. All the young people who took part were awarded diplomas, with graphics promoting the World Anti-doping Agency code. On the 20th June 2009, in Novi Sad, Miodrag Jotich was awarded the diploma of "Honour Member" of the International Savate Federation by his old adversary and friend, FIS President Gilles Le Duigou. An honour greatly deserved! AGFIS/GAISF recognition of ITF - Will 3 ITF taekwondo federations with the same name step under the same umbrella organisation? The Board of Directors of the ITF is aware of the rumors circulating about a “reunification” plan that would merge the group of Mr. Chang Ung with the ITF and that an unsigned, unattributed announcement was sent to the TKD Times and the Totally TKD magazines who have posted it on their Websites. * Following an approach by representatives of the group of Mr. Chang Ung, the ITF Board of Directors did agree that Master Juan Ferrando, Vice-President and Chair of the Welcome Committee, and Master Willem Jacob Bos, Secretary-General, could participate in a preliminary meeting in order to discover their intentions. * Last week, Grand Master Tran Trieu Quan, President of the ITF, did authorize our lawyer in Vienna to agree that the court proceedings against the group of Mr. Chang Ung would be suspended temporarily (for a period of three months). * The ITF Board of Directors has not entered into any “reunification” agreement with the group of Mr. Chang Ung. In fact, any such agreement would require approval by the ITF Congress, because it would have serious consequences for the ITF and its members and would necessitate an amendment to the ITF Constitution. The 16th ITF Congress Meeting of the ITF was held on Friday November 27th & 28th at the Hotel Astor in Mar del Plata (Argentina) in conjunction with the 16th Senior and the 10th Junior ITF World Championships. An important item on the meeting agenda was the question of continuing our legal action against the group of Mr. Chang Ung and a proposal that the ITF negotiate an agreement with that group. The President introduced this item by confirming that the ITF had not made an agreement with the group of Mr. Chang Ung. He then invited Vice-President Master Juan Ferrando to tell the Congress about the meetings he and the Secretary General Master Willem Jacob Bos had had with the representatives of the other group. The President reminded the Congress that because the ITF is a democratically-operated organization, the final decision would be decided by their votes. He then encouraged the representatives of the member countries to express their views on the subject, which they did. The question put to the Congress was: Should the ITF continue its legal action against the group of Mr. Chang Ung? The majority response was “yes”. Since Congress voted to continue legal action, there will be no talks to negotiate an agreement with the group of Mr. Chang Ung. The Congress has approved the proposal from the ITF Executive Board to integrate representatives of Continental Federations of maximum 6 members to make the total of the ITF Board Directors as thirteen (3) members. The ITF now has 83 country members, and many others have expressed interest in joining. Our objective for the next few years is to have one hundred countries. The ITF has been officially recognized by the government of Vietnam. The ITF sent Mr. Marius Steckiewiez, 6th dan, to Vietnam to work full-time teaching and to help them to upgrade their techniques. In October equivalency exams were held and 75 candidates passed, notably 4 for 7th dan and 26 for 6th dan. Mr. Steckiewiez will be continuing his work in Vietnam in 2010, and our experience in Vietnam will serve as a model for development in other countries. We are currently working on official rules of protocol for the ITF. The initial consultation has been completed. The second draft document will be sent out soon to Black Belts 8th dan and higher for their comments and suggestions. Eventually, the rules of protocol will be presented to the Board of Directors for approval. In the last six years 48 International Instructors Courses have been offered in countries around the globe, for a total of more than 6,000 participants. The Code of Ethics for instructors elaborated by the ITF Ethics and Discipline Committee, approved by the ITF Board of Directors. The document ‘’Inspire the world’’ out line by the ITF Development Committee providing the vision for the development of the ITF. We have continued to introduce new services. The program for teaching the Do is complete and we will be moving on to implementation. The working group led by Grandmaster Pablo Trajtenberg has prepared a new children’s program and presented it to the Board of Directors. Over the past two years, the ITF team has continued to make steady progress on the Strategic Objectives identified when the team was elected at the 2007 Congress Meeting. (To view the list of Strategic Objectives, go to http://tkd-itf.org/pub_web/ver_eng/bd-sc.html#obe). Arsen Melikov (world junior combat champion 2007) with his typical Muay-savate technique. Oh my god. They call it "professional Savate fight", Russia 2005. It is similar to wrestling. I don't know who decided to put tecnical fighter like Ingrid is with this poor fighter in the ring. And after all they call it savate. Big danger for savate are those fighters who are experts everywhere. Judges don't judge them wrong techniques, and tolerate their non-savate behaviour in the ring. And when you start with no-savate on championships, than also other fighters get the sign that savate as technical school isn't important anymore. World Muaythai championship, IFMA, Thailand 2009. Final fight, female 60 kg. Valentina Shevchenko (Peru) blue corner - Alena Muratava (Belarus) red corner. Another surprise from the EverythingIsPossibleLand. (Predrag Simunec was also European champion in Muay thai - but for 2009 - 2nd place - Savate). Predrag works every day on his job and is still active in combat sports. Real champ.